In the last week of his life, my father gave me a gift I had yearned for since childhood.Like most parents of his generation, he thought that pointing out flaws and mistakes would shape my character and give me “backbone”. He believed that praise was unnecessary, even harmful. His criticisms, though well intentioned, left a deep scar, still tender whenever I receive a hint of criticism, especially from my intimates. Looking frail, my father gathered the family around him, and spoke words of praise we had never heard before. I was stunned by the strength he saw in me, his appreciation for my compassion and my service. 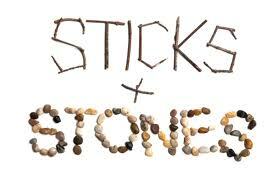 The childhood chant, “Sticks and stones may break my bones but words can never hurt me” is a lie. Words can break our hearts. When our words are weighty, we need to weigh our words. We are mirrors to our children of who they are. The words we use about them have a profound effect on how they see themselves.